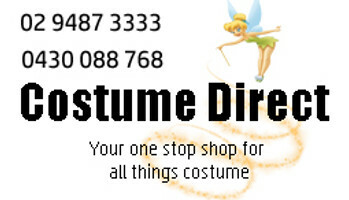 This wide range of dress up T-shirt's and Hoodies from our online costume shop all ship fast Australia wide! Here's a great solution for the "Clayton's Costume" - the person who needs to dress up but doesn't want the full kit! Our Licensed range of Hoodies and T-Shirts is the perfect answer....we have an extensive male and female range including Marvel, DC Comics, Looney Tunes, Horror, TMNT and many more. These cool costumes come in Child and Adult sizes and are just as popular for everyday wear, not just costume ideas.